I’ve been spending a lot of time reminding people to post their works from the previous calendar year & what they’re eligible for since it’s SF/F awards season, so of course I’ve been procrastinating on my own post. Thanks to everyone who reminded me that I need to promote my own stuff, even if I didn’t feel like I did that much in 2017—surprise, that voice in your head (or the voices of others complaining that you promote yourself “too much”) that says you didn’t do anything worth noting? Is a DAMN DIRTY LIAR, don’t listen to it, instead as DongWon Song has advised, shove it into a (metaphorical) an airlock and blast it into the frigid depths of space. So to get straight to it, here are works that I did in 2017 that are eligible for consideration in various categories for the Hugo Awards. I am also eligible in the Best Fan Writer category. I continue to be proud of the work we’ve done on Uncanny Magazine and am pleased to note that the magazine is once again eligible for consideration in the Best Semiprozine category. Attended Worldcon 75 in Helsinki (my very first trip to Europe! ), met so many amazing people (many in person for the first time!) and got to accept Uncanny Magazine‘s second Hugo Award alongside the awesome & then-Poetry and Reprint Editor Julia Rios. The best thing about many of these projects/events and many others I didn’t get to listing is all of the amazing creators, fans, critics, and other people who I got to work with and get to know because of them. And if there’s one thing that’s continued to be impressed upon me throughout all of this, is that visibility matters. It matters. Which is another reason why I think it’s important for those of us who are creating things in the genres we love to celebrate and promote our own work. It’s not just for awards and nominations (although those are rather lovely! ), it’s also so that others can see what we’re doing and see that there is space for them, too. And honestly, we should celebrate and be proud of and find joy in the things we’ve done and created for no other reason than we did them in the first place. So please consider putting your own posts/tweets/FB/Tumblr/whatever posts up celebrating the things you did over the past year, whether it’s for awards considerations or not. These days in particular, being able to create something that makes you (and hopefully others) happy is surely something to be proud of. *Note: These Tweet threads are currently on Storify but since that’s going away in a few months, I’ll be moving them onto the blog. 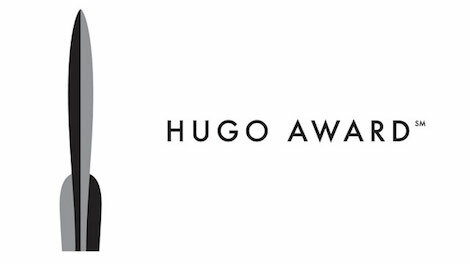 This entry was posted in Fandom and tagged eligibility, Hugo Awards by Michi Trota. Bookmark the permalink.